Fascinating, if occasionally uneven, anthology of tales in the Muslim world. Many, if not most, are from Westerners traveling in the Middle East and other Muslim locales; some are from local voices. But all present a compelling portrait of gay life in a region and culture widely reputed to be among the most hostile to gayness on Earth. تافه لا يستحق القرائه.. توقعت كتاب يتحدث عن تجربة شخص او رحلاته في الدول الاسلاميه. كيف تمت معاملته او كيف حلل وضعه في حدود العالم الاسلامي. وجدته مجرد سرد لافكار اشخاص منحرفين وتلك الافكار لا تقدم ولا تؤخر ولا تفيد على الاطلاق. اعتقد هدف الكتاب ككل هوه القول بان هناك شاذين في العالم العربي وهوه ما يمكن قوله في سطرين لا في كتاب! 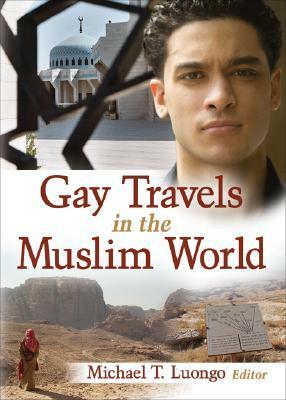 This book is a series of essays written by gay men about their experiences traveling in Muslim countries. It was interesting to read about gay culture (or lack thereof) in Muslim countries. I was surprised with how personal and open most of the essays were. Overall, I learned a lot.